I don't know what it is about summer, but I just tend to blog less. I guess it has to do with not having those mornings to myself, and feeling all around lazy. I thought I'd post a little randomness/update to refresh this here blog o' mine. So, what's been up...Nothing major, lazing about for the most part. 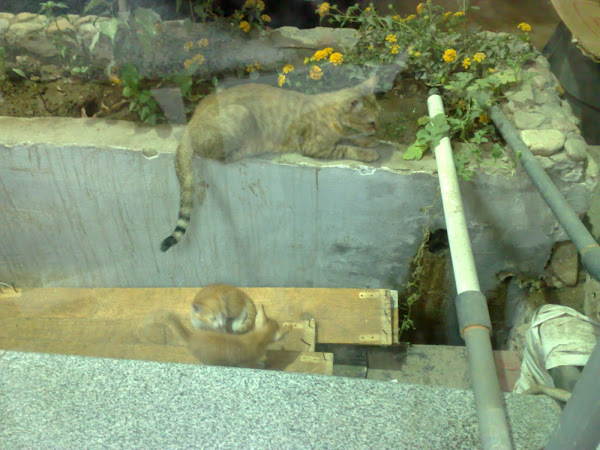 I took this a few nights ago from the window at Mcdonalds. Cute little kitty family. I tore a hole in my favorite abaya on piece of wood on a chair at a cafe. I really hope it won't be too noticeable, I love that abaya. I have this stuff that's supposed to be good for these things, it's like fabric tape that you iron to mend? I don't know, InshaAllah it will be inconspicuous. I really, really love wedges, I got a new pair recently and they are so comfortable and I'm taller plus they are very cute. Wedges are the short girl's dream come true. In regular heels/stilettos I wobble and threaten to topple over or feel pain upon walking a short time. Wedges give you height and feel good! I hope they never go out of style. I watched a movie recently that I really liked. The Lovely Bones. It's weird to even say I liked it. It was so chilling at times. 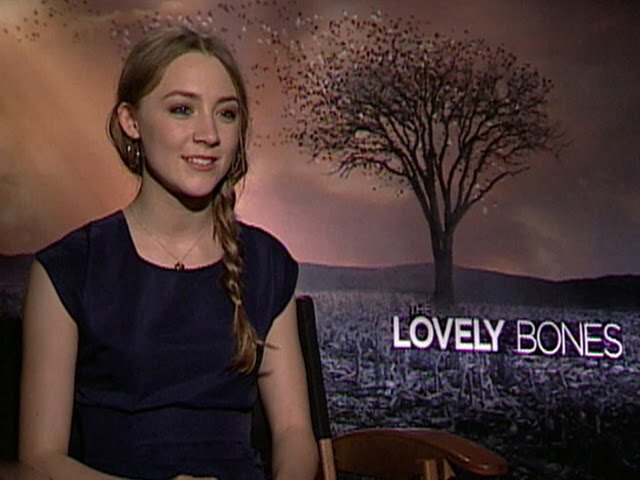 Saoirse Ronan plays the main character and she did an amazing job. She was the young girl in Atonement. I don't want to go into a summary, if you're interested, Google it. It was visually stunning at times and disturbing at others but all in all, very good. The kids wanted to make marshmallow kabobs. Can you tell we made too much? We ended up eating only some toasted and saved the rest for later. It got a bit sickening. I really want to get menial tasks such as summer HW, catch up on the laundry, giving the apt a good cleaning done before Ramadan starts next week. InshaAllah, to have more time for worship. I do not plan on having any dinner party/ iftars here this year it's just too much work and not enough space. Iftar's out? That's what I'm talking about. How much more arbitrary can this post get? I don't know, lets see, There's a circus in town so we want to go soon. I hope it's the acrobats and stuff kind of circus not the abuse animals kind. Hopefully, if we do, I'll post about that. omg do u believe ramadan is so soon! next week! inshallah you'll get teh chores done before next week! A'salaamu alaikum sis. I blog less in the summer too; I have 4 kids around at all times and by the time night hits and I have "me" time I'm kinda pooped. :-) So I can relate. Hope ya'll are having a great summer! oooh, make smores! 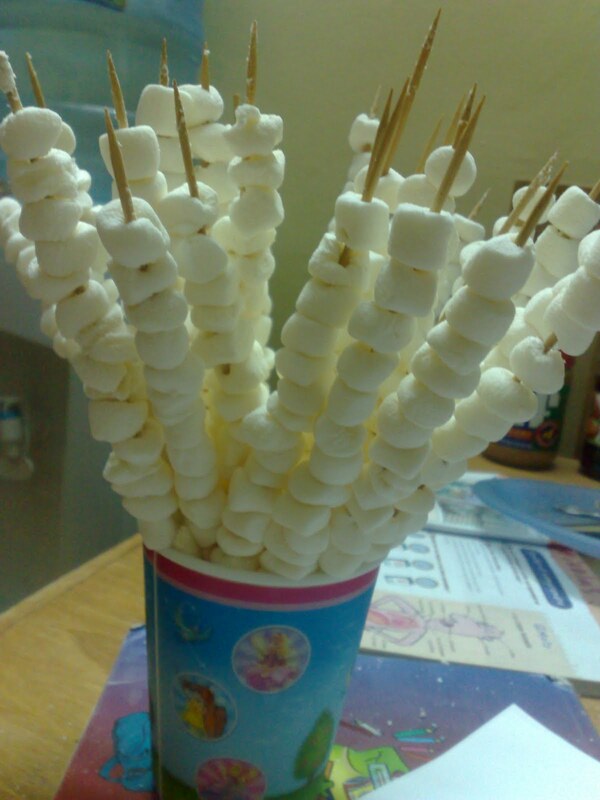 My favorite way to eat marshamallows. :-) I love iftars out, too. I think I decided about 3 years ago, Ramadan was no longer going to be about me being in the kitchen! The circus sounds fun! Anya, Yea, it's so soon! Thanks. Umm Aminah, Yea. Not sure I miss school yet though. Umm Omar, Smores are next on the list. Need to find appropriate cookies cause there's no graham crackers here. Ramadan Kareem to you too! This summer's been crazy busy for me....I constantly think of things to blog about and then never get around to it.
))) yes! 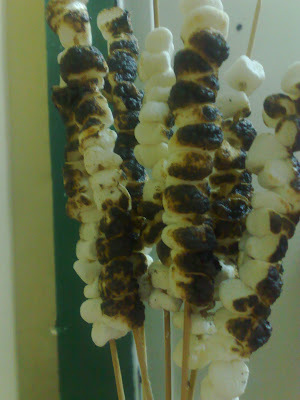 ı m in love with fried mashmellow too!